A native Tucsonan, Sara Gromley proudly self-identifies as an “AZPM Super Fan” who grew up on PBS 6 and who has every radio programmed to NPR 89.1. After graduating from the University of Arizona with a bachelor’s in political science and anthropology, Sara earned a master’s in anthropology from Northern Arizona University. During her studies, Sara interned at the Smithsonian Institution to help coordinate the NASA: 50 Years and Beyond exhibition on the National Mall, as well as the The Working Whitehouse traveling exhibition. 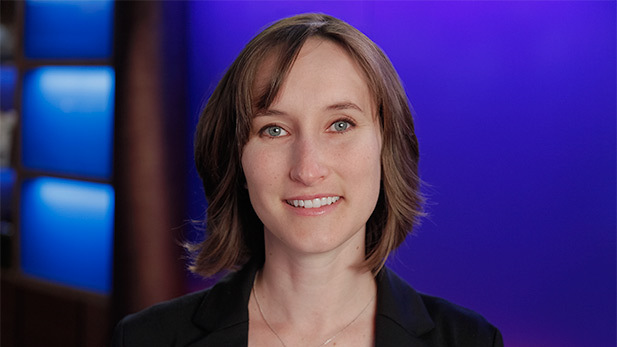 Prior to her tenure at Arizona Public Media, Sara worked in marketing and development at the Humane Society of Southern Arizona and Reid Park Zoological Society. In her free time, Sara enjoys volunteering her photography for local nonprofit events, fostering homeless pets, and visiting health care facilities with her certified therapy dog. As AZPM’s Membership Manager, Sara takes great joy in getting to know the enthusiastic and loyal members who make our mission possible. Her daily interactions with supporters give her a deep appreciation for how AZPM impacts lives by strengthening and connecting our community.